Lynn has led the Assistants to Infancy ("Toddler") Program at Marin Montessori School since 1994, and is an AMI Consultant at the same level. A graduate of Sonoma State University, Lynn received her AMI training in Colorado before joining the MMS faculty. In addition to her work with the children in the Toddler classroom, Lynn has guided a series classes designed to help parents' better guide the development of their young children. She has also worked independently as a post-partum care provider in Marin. Lynn credits her wonderful family with having enabled her to achieve her life goal of supporting young children in their development to create a better world for everyone. Deirdre joined the Sandpiper classroom in 2016 as the Toddler Assistant. Deirdre grew up in San Francisco and has been enjoying the wonders of Montessori education since the age of 4½.She received her Bachelor’s degree in Child and Family Development from California State University, Sacramento. She then received her AMI primary diploma from the Montessori Institute of San Diego and her Masters of Montessori Education from Loyola College, Maryland, after which she taught for 13 years. She is excited to assist in the toddler program while she and her husband enjoy the world of parenting with their two beautiful daughters. Gloria graduated from University of California, Davis with a BA in Psychology in 2008. Her dedication to early childhood education developed during the five years she spent working at a preschool for emotionally troubled children. Passionate about child development, Gloria began her Montessori teacher training in September of 2015 with the goal to have her own classroom one day. She is delighted to be a part of the MMS team and assisting in the Mourning Dove classroom. Cheryl has been a faculty member at Marin Montessori since 2008. Before joining the faculty, she worked as an assistant in the Primary level at MMS for 2-1/2 years. Cheryl studied Child Development and Education at the University of Auckland in New Zealand and earned her Bachelor of Arts degree in Sociology from the University of California, Santa Barbara. She received her AMI training at the Montessori Institute of San Diego and has her Masters in Education from Loyola College in Maryland. In her free time, Cheryl loves running, hiking, and experimenting with mixed media art. Before joining the Marin Montessori community, Susan worked in the pharmaceutical industry for several years. After raising her own two children, Susan discovered her true passion for working with children. She received her Early Childhood Education degree through Springfield College, Massachusettes. Born and raised in Switzerland, Susan loves hiking and traveling with her family. Additionally, she enjoys playing the violin, reading, and baking. Roshini has been a faculty member at Marin Montessori School since 1992. Prior to moving to California, Roshini taught at Milwaukee's Urban Day School and Lake Shore Montessori. A native of Colombo, Sri Lanka, Roshini received her AMI Primary training in Sri Lanka and earned her AA degree in General Education/Child Psychology from the Milwaukee Area Technical College. She is a regular participant in AMI refresher courses and conferences. Aside from her passion for teaching young children, Roshini enjoys cooking, dancing and reading. Heidi is a Montessorian and an Industrial Designer at heart. She is passionate about Dr. Montessori's ground breaking observations in human development and designs of the prepared environment. Heidi believes that important truths are revealed about each child when they interact with Montessori materials, and the three dimensional expression of a child's conceptual understanding is invaluable. Raised with a value for learning, Heidi is a graduate of Phillips Academy, Smith College, Pratt Institute and Portland's Montessori Northwest. She was a varsity athlete in soccer, cross-country and crew, and still seeks out a variety of adventures in nature. Heidi feels privileged to raise her children, Oliver and Pippa, at MMS, and is grateful for the opportunity to pour her passions into educating the children in our community. Heidi is married to Brit, James Vaughan, who selflessly supports her many endeavors. Heidi's favorite Montessori material is the Decanomial. Colleen has been teaching at Marin Montessori School since 1999. After graduating from Boston College with a Bachelor of Arts degree in Early Childhood Education and Human Development, she received her AMI Primary training in northern California. Colleen began her Montessori teaching career at the Corvallis Montessori School in Oregon. She enjoys sharing her love of ceramic work, knitting, and drawing with her students, and spends much of her free time outdoors with her husband and twin sons, Nick and Gerry. Pam's association with Marin Montessori School began in 1976 as a classroom assistant. In 1981, she rejoined the MMS community as a Primary directress. Pam also served as Director of Education and Admissions from 2000-2003. She earned an AA degree in Early Childhood Education and received her AMI Primary training from the Montessori Institute of Atlanta. Pam is a regular participant in AMI refresher courses and conferences. She has training in outdoor education, children's literature, story-telling, positive discipline, Schools Attuned program for educators, and the Perceptual Enrichment Program. She is the parent of a 2003 graduate of Marin Montessori School. In her free time, Pam and her family enjoy hiking, backpacking, kayaking and bicycling. Melissa has been assisting Pam Wisner in the Pelican classroom since she joined MMS in 2010. Melissa is a San Diego native and received her Bachelor of Arts in Spanish Literature from the University of San Diego. While she studied Early Childhood Education, she worked as an elementary assistant at the Montessori School of San Diego. She enjoys spending time with the children in the MMS community. During her free time, Melissa likes cooking, hiking, and relaxing at the beach with her husband, Omar, and her two children, Aiden and Milla. Susan loves her job because it invites joyful collaboration within the classrooms. She finds it extremely rewarding to create Montessori materials that invite children to explore, use their senses, and engage. Susan has an AMI Assistant Certificate, Primary Montessori Certificate, and California Child Development Program Director Permit. At Sonoma State University she earned a M.Ed degree plus Multiple Subject and Single Subject-Art credentials. Susan taught kindergarten and K-8 art for over ten years in public and charter schools before joining MMS in 2011. Alexandra was a substitute at Marin Montessori School for two years before taking on the full-time position of support assistant for the Quail and Mourning Dove classes. A graduate of San Francisco State University, Alex majored in Child and Adolescent Development with an emphasis on school-age children. Alex has experience in both the private and public school sectors. Recently she studied childhood education abroad in Oslo, Norway, learning about the benefits of outdoor immersion for adolescents. Additionally, she spent a semester volunteering in a kindergarten class at a public school in Daly City. Prior to completing her education, Alex completed six years as a member of the Air Force. Brie joined the Marin Montessori School Community first as a parent in 1996 and then as a classroom Assistant in 2003. In 2006 Brie began her current role as the garden teacher for Primary children. Brie has completed course work in early childhood education and Montessori Assistants training. Her greatest joy is working with the children in the garden, for observing their curiosity and excitement with each new discovery is itself awe-inspiring; this allows Brie to see the beauty and wonder of nature through the children’s eyes. Kathy is a Marin native and earned a teaching credential at University of the Pacific. She holds a BA in Economics and minors in Organizational Studies and Textiles from U.C. Davis. After a hiatus in full-time teaching to support her own daughters as they completed their college adventures, she joined MMS to blend two passions: teaching children and movement. Kathy is an avid triathlete and enjoys coaching and introducing newcomers to the joys of open water swimming. Taz is a Kidpower teacher with a focus on people safety and healthy boundary setting skills, and a PCI (Parent Coaching Institute) certified parent coach. She earned her BA and MA with an emphasis on Media Literacy at San Francisco State University. She is excited to join the Montessori community and support the healthy growth of young children. Tasmin and her husband are proud parents of two young adults. She enjoys commuting to school by bike, hiking, skiing, and geocaching. Melissa is very excited to be a part of the MMS community to continue the work with children she has done for over 10 years and to learn about Montessori education. Melissa studied Early Childhood Development at Diablo Valley College in Pleasant Hill. She was born and has lived her whole life in the Bay Area. In her spare time, she is passionate about the welfare of animals and being outside enjoying nature. Minnie began her Montessori education at age three in San Francisco. She graduated from the University of California, Santa Barbara with a BA in Cultural Anthropology. In 1997 she earned her 6-12 Elementary AMI diploma and an M.Ed from Loyola University in Baltimore, Maryland. In 2001 she completed the AMI primary training in Phoenix, Arizona. Since becoming a Montessori guide, she has continued to discover and rediscover the gift that a Montessori education offers to children, families, and society. Minnie is happy to be sharing her life here with her husband and her three not-so-young children. Tabitha was born in San Francisco and raised in San Rafael. She values the vast beauty of the Bay Area and feels grateful to have received an education that emphasized the expressive arts and a relationship with nature. Singing and the dramatic arts have been huge driving forces in Tabitha’s life. She has performed with choirs and in theater since she was 9 years old, and she trained in New York City at the American Musical and Dramatic Academy. She has participated at the U.N. Indigenous Forum and performed with the original cast of Hair in Golden Gate Park. Tabitha has been with Marin Montessori School in varying capacities since 2005, and feels honored to be part of this inspiring community! Allwyn was a graduate of former MMS teacher Phyllis Pottish-Lewis’ first AMI Elementary course in 2002, and has been a director of the elementary programs at Santa Barbara Montessori School for the past decade. She has worked closely over the years with MMS teachers Minnie Wales and Joni Perry. Allwyn got her BA in Psychology/Journalism from California State University at Northridge, followed by her AMI Elementary Diploma at the Montessori Institute of San Diego. She lives with her son, who attends the MMS Junior High, and her partner, and their two dogs. In her spare time she enjoys playing volleyball, reading, knitting, drawing, hiking, traveling, and anything to do with music. Matthew grew up in Anchorage, AK, surrounded by a tight knit Montessori community, and enjoyed a formal Montessori education from primary through elementary. He graduated from Sonoma State University with a degree in International Studies. While pursuing his degree and studying abroad in Italy he worked with an NGO supporting children of families that were political refugees, which energized his passion for working with youth and the Montessori approach. Matthew enjoys sharing his joy of cooking, ultimate frisbee, soccer, nature, and exploring the outdoors, and is excited to be a part of the MMS community. Anna's connection with Montessori began as a small child in a Primary Montessori classroom in Virginia. 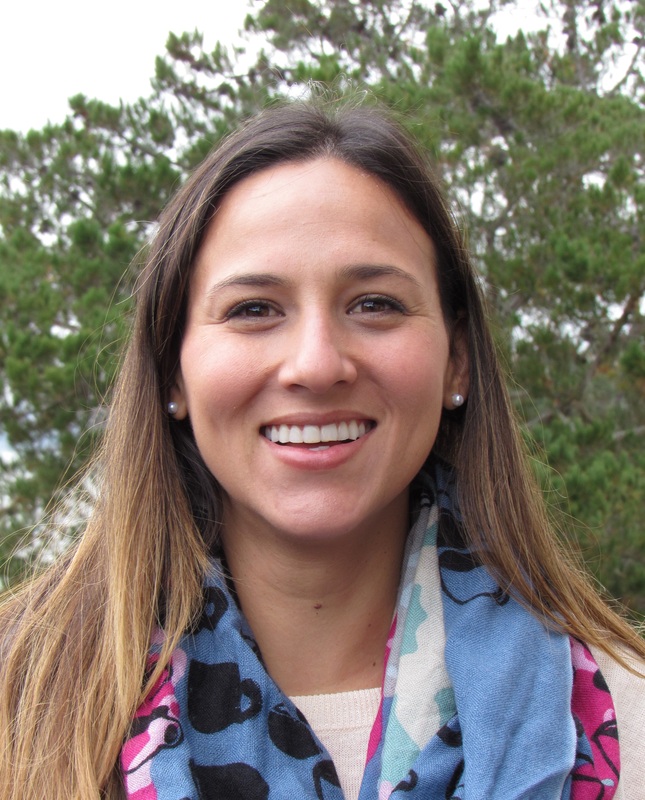 Soon after obtaining a Bachelor of Science in Anthropology from James Madison University, Anna completed her Primary training and obtained a Master’s degree in Education from the Montessori Institute of San Diego. Anna taught in a Primary classroom in Virginia for many years before returning to school to complete the AMI Elementary teacher's training at the Washington Montessori Institute at Loyola University. After teaching in the Lower Elementary level in Virginia for a number of years, Anna joined the Marin Montessori community, serving as one of the Lower Elementary teachers. Anna loves Marin Montessori and teaching in the Burrowing Owl classroom, and when not in the classroom, she enjoys hiking, reading, yoga, movies, and of course, spending time with family and friends. Jordan is an experienced Montessori elementary teacher, having worked with the full range of lower and upper elementary children. After earning a BA in broadcast journalism from Auburn University, she went on to receive her AMI elementary teacher training and certification from Montessori Northwest in Portland, Oregon, as well as a Master of Education from Loyola University Maryland. She lives in The Presidio of San Francisco with her husband and their toddler son. In her free time, she maintains an active blog focused on Montessori education and parenting. She also enjoys traveling, hiking, and camping with her family. Mishelle grew up in Cartagena, a beautiful historic city on the Caribbean coast of Colombia. She attended an American bilingual school for 14 years, since she was 3 years old, until she graduated high school. She received a BA in Psychology and a BS in International Studies from Old Dominion University in Norfolk, Virginia, and an MS in Education from Nova Southeastern University in Fort Lauderdale, Florida. During and after college, she worked with a former professor translating and editing Spanish courses and serving United Nations Peacekeepers from Latin America and the Caribbean; she also tutored Spanish at the college level. Mishelle is an experienced Montessori Spanish teacher, having brought highly successful Spanish programs to two AMI Montessori schools – one in Illinois and one in California. She is also a trained and credentialed AMI elementary teacher. Mishelle is a life-long learner and truly lives Montessori at school and at home with her toddler son, Lucca. In her spare time she enjoys traveling, getting to know new cultures, and visiting her family back in Colombia. James started his life in New York and spent his formative years in Louisville, Kentucky. However, he has deep ties to Marin County. Both his grandmother and his father were raised in a house that is just a few miles from MMS! While attending UC Santa Cruz, his ambition was to be a professor of anthropology. For a while his love of the outdoors led him in a different direction, including becoming a ropes-course instructor. A call to request that he teach physical education at a Waldorf School brought him back to his original interest in education, and this move to our school is part of a serious commitment to physical education. Sandy grew up in Woodside, California, and is one of nine children. Over the past 25 years Sandy has taught in many schools and programs. She earned her Lifeways teaching Certificate and has taught at Waldorf and Nature-inspired schools and created art classes at summer camps and after school classes. You may meet Sandy at our mid-day car line, front office desk, supporting administrative staff, and assisting with Elementary ASC and camps. Sandy also teaches infant/family massage to deepen bonds in families. Sandy raised two daughters that live to be in nature and inspire others to do so, too. Anna is an East Coaster who moved west with her husband in 2006. Anna attended Colby College and graduated with a double major in math and education. After college Anna worked for five years as a middle school math teacher in a suburb of Boston and completed her M.Ed. in Math Education. Upon moving to the Bay Area Anna got a job at a Leadership Public High School, a charter college preparatory school in Richmond. After having her first son, Anna wanted to join a Montessori community for herself professionally and her family. Anna’s mother-in-law is an upper el teacher, and her husband attended a Montessori school through 8th grade. She began working at the Junior High in its founding year as a math specialist.Anna completed the AMI Montessori Orientation to Adolescent Studies and expanded her role, teaching both microeconomy and physics, among other subjects. In 2014 Anna took on the role of Junior High Director, supporting students, teachers, and families. In her free time Anna enjoys spending time with her husband, two sons, and daughter on the hills and beaches of Marin. Heather Brinesh has been a part of the Marin Montessori School community since her* infancy. She developed a deep love of self-directed learning, first in primary and later as an elementary child. Heather pursued this educational philosophy in her bachelor's degree program at Hampshire College. After completing her master's degree at the Academy of Art University, Heather returned to MMS in 2010, first as an elementary assistant and later as an art specialist at the Junior High. In 2014, Heather joined the faculty and currently shares her many passions with her students – literature, history, cooking, art, poetry, scientific inquiry, and Chinese. Heather continues to pursue freelance illustration in educational materials and comics. As any accomplished Victorian, Heather draws, paints, plays pianoforte, and occasionally falls prey to a three-volume novel. Ali holds an AMI Elementary diploma and completed the AMI Montessori Orientation to Adolescent Studies. She earned her Bachelor of Arts degree in Environmental Studies, her Master of Education degree, and her Multiple Subject Teaching Credential from the University of California, Santa Cruz. Ali brings to the Junior High her love of place-based education, honed during five years as a Naturalist at nearby Walker Creek Ranch Outdoor School. Prior to joining the Junior High faculty, Ali spent three years as an Upper Elementary Assistant at a nearby Montessori school. When Ali is not teaching, she enjoys exploring the great outdoors, camping in the V.W. Vanagon that she shares with her partner, swimming in rivers, dancing, and making succulent arrangements in the garden. Kim joined MMS in 2016 in the role of the Junior High assistant administrator. Kim comes to us from the horticultural nursery business, where they* spent five years working for two prominent East Bay nurseries as both a plant authority and an administrative specialist. Kim holds a BS in Biological Science from Chapman University in Orange County and spent a semester studying environmental science in South Africa. In addition, Kim holds a Master’s degree in Theological Studies from Pacific School of Religion in Berkeley. Kim enjoys bringing their rich and varied experience, knowledge of environmental science and horticulture, and administrative expertise to the Junior High community. A strong believer in ecological conservation, Kim enjoys reading, traveling, and exploring the numerous botanical gardens and museums in the Bay Area. Jessie earned her Bachelor of Fine Arts degree from Rhode Island School of Design and is currently pursuing her Master of Science in Education with a duel credential in Special Education and English from Dominican University of California. Jessie also holds certification from AMI’s Montessori Orientation to Adolescent Studies. Bringing her twin passions for art and experiential education, in her classes Jessie integrates art, science, social studies, and humanities through project based learning: she enjoys teaching zoology through the lens of beekeeping, the physics of simple machines, classical archeology, and Great Philosophical Debates. In her spare time she can be found hiking along the coastal trails or painting in her Petaluma studio. Liesbeth has been a faculty member at Marin Montessori School since 2012. Previously, she has taught in schools in Kansas and Chicago. After earning a Bachelor of Arts in Education from Western Michigan University, Liesbeth served in the Peace Corps in Thailand. Further training includes earning a Master in Educational Leadership from Fort Hays State University and the AMI Montessori Orientation to Adolescent Studies in Cleveland, OH. Liesbeth enjoys sharing her passion for the outdoors, theater, and music with her students. When not at school, Liesbeth enjoys spending time with her two children, Grace and Phoenix. Seth joined MMS in 2015. His previous teaching experience includes an international school in Tokyo, public high schools in Okinawa, an alternative learning center for troubled youth, and another Montessori adolescent program in Minneapolis, Minnesota. He is originally from the Twin Cities area and graduated from St. Olaf College in 2004 with a BA in Mathematics and Education. Through the University of Minnesota, he spent two years on graduate level course work in the field of education. He has held teaching credentials in both Minnesota and Oregon in the area of secondary mathematics. In 2017, he completed the NAMTA/AMI Montessori Orientation to Adolescent Studies. Seth is a strong believer in the constructivist approach to education and strives to role model the behavior of a reflective learner and a global citizen. In his free time, he enjoys reading, running, and cyclo-touring. A third generation teacher, Minnie McBride is one of the Junior High's founding faculty members. Minnie studied environmental science at Oregon State University and later earned her teaching credential in science from Dominican University. She is currently finishing her Master of Education at Dominican as well. Minnie has completed her AMI Montessori Orientation to Adolescent Studies certification. In addition to science education, Minnie is passionate about mindfulness education, and has trained with Mindful Schools. A Marin native, Minnie lives in West Marin with her partner, daughter, and Labrador. Monica has committed her educational career to the Spanish classroom for over 15 years. In addition to acquiring her BA in Spanish Literature from California State University Long Beach, she completed her El Certificado de Perfeccionamiento from the La Complutense of Madrid. Several years in Madrid and travel to South America has given her authentic resources to bring into the classroom. She is looking forward to incorporating her hands-on real life skills and adding to the Marin Montessori curriculum. Before coming to Marin Montessori, David worked at an International Baccalaureate school in the Pacific Northwest where he served as an academic adviser, writing workshop leader, and language arts teacher. David earned a master’s degree in English and US literature at the University of Essex in England, and completed his Bachelor's in English at UC San Diego. David is a certified consultant with the National Writing Project, where he gained valuable experience applying writing instruction across the curriculum. David is an avid reader and hiker, as well as a wooden boat builder who has sailed the North and South Pacific. Kate is an experienced, thoughtful, and environmentally conscious farmer with rich and varied experiences. For 23 years Kate owned and managed North Creek Community Farm, a 150-acre farm and CSA (Community Supported Agriculture) in Wisconsin, where she trained and mentored beginning farmers and engaged the CSA families in the farm. Additionally, Kate has worked with a Montessori program in Minneapolis, Minnesota, supporting microeconomy ventures, cooking programs, and varied farm work enterprises. Kate also has impressive experience starting two restaurants and teaching folk dancing. She returned to her roots in Berkeley and enjoys living with her mother and sharing her farming experience with MMS. Kate graduated from UC Davis with a BS in "Agrarian Studies" with emphasis in Animal Science and Agronomy. *Pronouns are words used to refer to people in place of their names. Some people choose to use gender neutral pronouns, while others prefer gendered ones. 'They' (them/their/theirs/themself) is a commonly used gender-neutral pronoun. Patti has worked with alternative learners for over twenty years in both public and private schools and has taught all grade levels. Patti offers an insightful view of the alternative learner through the lens of current neuroscience. She is a strong proponent of student-centered education and supports children in self-advocating according to their learning styles and strengths. Patti is a resource for students, teachers, and parents. She holds an MA in Education, specializing in learning differences, from Santa Clara University, as well as a BA in Psychology from San Jose State University; Patti holds clear California teaching credentials in both general and special education. In addition to teaching, Patti loves spending time in nature—especially the beach—and is grateful to live in the beautiful San Francisco Bay Area.